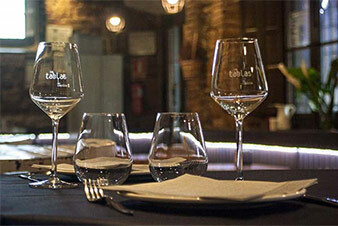 Las Tablas del Campillín is a space in which we share our passion for food. Here you will find a fresh, easy cooking, so you can enjoy it at any time. In Oviedo, in the neighborhood of Campillín near of the cathedral. We cook with Asturian cheeses, artisan bread, products from our land to give you all the authentic flavor of Asturias. We open every day, from morning to night, do not forget to try our vegetables grown by us in our local garden, they will surprise you. You can eat in our comfortable restaurant, on the outdoor terrace or in our dining room on the covered terrace. 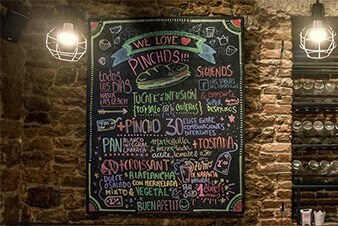 Visit us and enjoy with us the most delicious food in Oviedo. From the morning, with our special breakfast until the evening, with a dinner. Our tables and escalopes, the famous cachopo with more awards from Asturias, the selection of cheeses and the fried squid are part of our menu to conquer you. 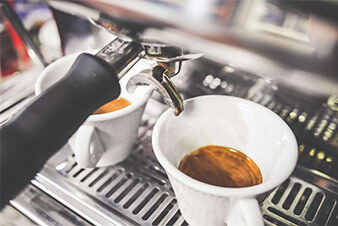 Ecological coffee and delicious croissants or toast with tomato and ham with fresh olive oil are the best way to start the day. At lunch we have a variety of meat and fish along with homemade chocolate and cheese desserts, wine selection by bottle or glass, brut cider and fresh beers. Dinner with the famous cachopos, we have many awards but the best is that you come to try it! Good coffee and freshly baked breakfast skewers. At the moment of the vermouth, a selection of tapas, wine, vermouth and beer with a fantastic atmosphere. And our lunch and dinner with a beautiful terrace all year round. We cook with fresh and quality products of our land, 14 years of experience in the kitchen to offer rich and authentic dishes. We invite you to come and meet us. Read our last news in spanish! And you’ll be promptly informed of all the activities we organize : events, tastings and courses open to the public.